This Sake is crafted with the finest base rice "Yamada Nishiki" sourced from the Special A District in Hyogo Prefecture's East Tojo. The rice is then generously polished down to just 30% remaining. The yeast used is Suigei brewery's traditional Kumamoto Yeast, and is brewed slow and in low temperature. 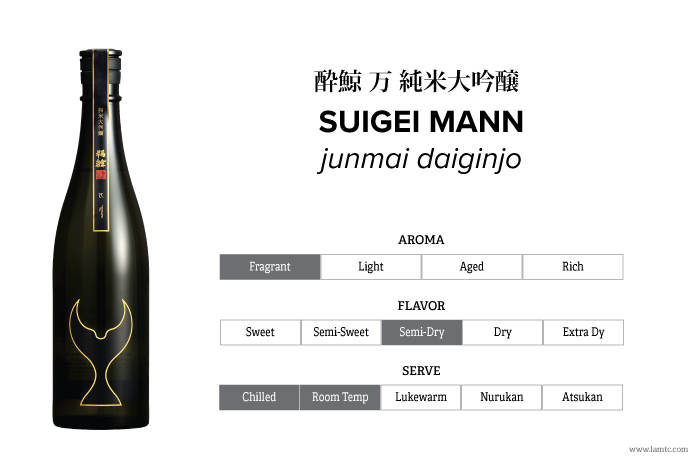 Kumamoto Yeast adds an elegant Ginjo fragrance and bold taste, creating a round flavor befitting of a Daiginjo, while still highlighting the unique Suigei style.